You are recovering from an illness or hospitalization and need help while you regain your strength. You need someone to help run errands or take you to appointments. You need assistance getting dressed and showering. You need help with housework, laundry, and grocery shopping. Your current caregivers need a break. You are at risk for falls and need assistance ambulating. Your loved one has dementia and needs supervision. 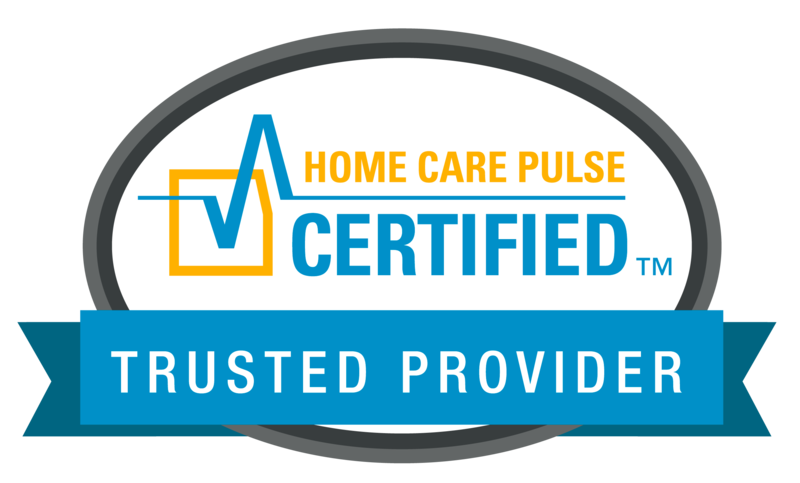 Moms Home Care-Experience You Can Trust! It's not easy to admit that you're in need of elderly care, and it's not easy to admit that your Mom, Dad, or other loved one is in need of such care either. But the reality is, that as we age, it often becomes more and more difficult for us to perform even the most basic day to day tasks. Your loved one's have been there for you. Now it's your turn. We make it possible for you to ensure their care needs, while maintaining your job and making sure all of your other personal obligations are met. When you want to give your loved one's the best care possible, Mom's Home Care is there to help. The staff of Mom's Home Care understands how hard it is to watch the ones you love become dependent on others. As the premier, non-medical home health care companies in the Los Angeles, we help bear the burden associated with taking care of a loved one in the home. Our qualified and highly trained staff are here to help you give them the care they need so they can remain in the home for as long as possible. Aging doesn't have to mean being taken from the only home they have known. We provide you with the means to be able to keep them in their home, as well as secure their safety and make sure their needs are met. Leaving an elderly family member alone while you go to work or run errands can be a scary experience. We can help you by keeping them safe while you're gone. Your loved one's health, happiness, well-being, and above all, their safety are our primary concerns. We do everything possible to make them as comfortable as we can. There is no shame in reaching out to get the help you need from a trained, professional caretaker; and it doesn't mean you're abandoning your loved one if you hire someone else to care for him/her. The fact is, many of us live very busy lives and we make a point to be there for our elderly loved one whenever possible - and we are - but all of us can't be there all the time. And there are tasks that your loved one may need done for him/her that you lack the ability to satisfactorily provide, at least, on a continual basis. And even when you yourself are the primary caretaker for your elderly parent or other loved one, there will be times you need temporary or additional help. At Mom's Home Care, we understand the difficulties that surround aging and watching your Mom or Dad age. And we provide a wide range of elderly care services to people just like you all across Los Angeles and Southern California. 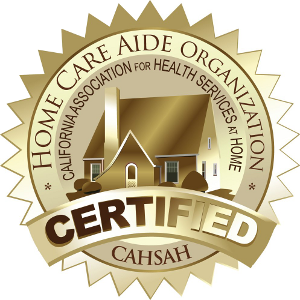 We are proud to be a licensed Home Care Organization (HCO) licensed through the Department of Social Services Home Care Services Bureau. State license number 194700009. If you need home care services for yourself or a loved one, or if you want to inquire further about our services, do not hesitate to contact us today by calling 323-244-4789! Who Should Call Mom's Home Care for Help? If you are considering home care services for yourself or for someone else, we at Mom's Home Care stand ready to assist you. But who exactly would benefit from our services? How do you know when to call Mom's Home Care for help? In-home care for someone recovering from an illness, health condition, or recent hospitalization. Care for those with chronic diseases and health conditions. Someone is terminally ill but wishes to remain at home in their sunset days. A loved one suffers from dementia or other conditions that often impact the elderly. There is considerable risk of a loved one falling and hurting him or her self if left at home alone. You need someone to run errands and provide necessary transportation. You need help with house chores, personal care, meal preparation, and other basic tasks. Your loved one's current care giver (be it yourself or someone else) needs a break or needs to attend to other important matters, so you need temporary home care. This is not at all an exhaustive list of all we do at Mom's Home Care, but it should give you the idea. We are there for you or your loved one to make things safer, healthier, and more convenient from day to day, temporarily, or on an on-call basis - as needed by you. 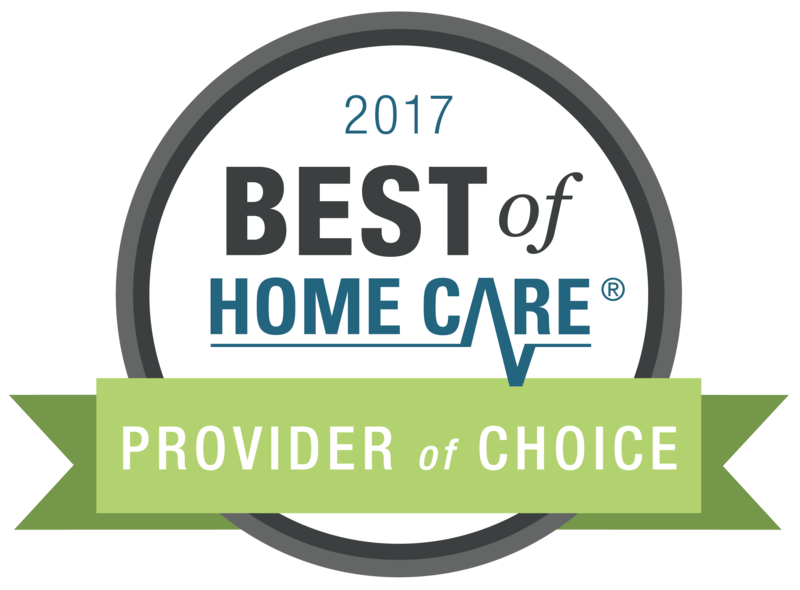 Why Choose Mom's Home Care? When those who mean so much to you are in their golden years and need professional care, it's time for you to act in their best interests and "be there for them" without losing your job or becoming unable to meet all of your necessary obligations. So, you look into finding a trustworthy home care provider in the L.A. Area. But how do you know who to trust? 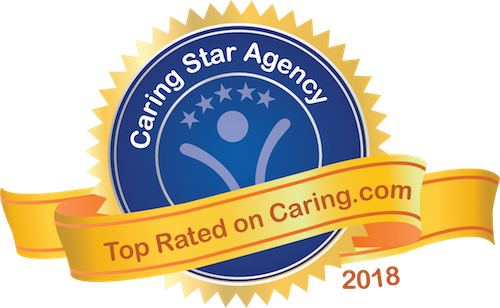 We are a non-medical in home care organization in Los Angeles that has been there for local residents for a long time, and we have built up a reputation for integrity, skill, and compassionate, conscientious care for the elderly (and others in need of professional care) that is well recognized across L.A. communities. 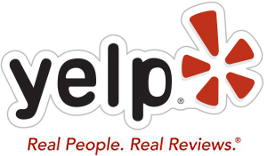 Check out our online reviews on Yelp and elsewhere. Ask any of our former and current clients. Or look up our Department of Social Services (Home Care Services Bureau) license number. We are confident you will be impressed with our reputation and credentials, just like many others before you have been. 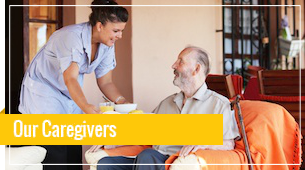 Also, at Mom's Home Care, we are very careful to hire only the most reliable, highly trained caregivers. We ensure that all caregivers are fully qualified for all tasks they are entrusted with and demonstrate a loving concern for each and every client we serve. In fact, we run background checks on new hires which includes live scan fingerprint clearance from the FBI & DOJ, and provide them with further training to enhance their level of service yet further. Anyone driving on errands will be screened for a valid California license and good driving record. And all of our employees are fully covered by our own commercial general liability and workers compensation insurance plans - so there's zero liability to you. Additionally, we at Mom's Home Care use cutting edge technology to monitor our caretakers. Through the use of our proprietary app, our caregivers clock in and out for shifts and their location is verified by GPS tracking. Our system won't allow a caregiver to clock in for a shift unless they are within feet of your home. And if a caretaker is ever late even by 10 minutes, an urgent alert is sent out to our care management staff. Finally, our caretakers not only perform a wide range of important tasks for your loved one, but they can also take down careful notes of how each client is doing. And we communicate to you all pertinent information periodically or promptly upon your request. How Do I Get Started with Care from Mom's Home Care? Getting Started is Fast and Easy! Whether you are trying to introduce the idea of a caregiver for a loved one, or your loved one needs someone urgently, Mom’s Home Care is here to help. We offer free, no obligation assessments which can be same day if needed. One of our trained care managers can come out to your loved one’s home, hospital, or care facility. Our care manager will create a professional and specific care plan as well as provide you with pricing. They will discuss the importance of having caregivers who are employees-not independent contractors as well as our inclusive insurance coverage. They will also ask about your preferences in regards to the caregiver. We make it as fast and convenient as possible for you to get started in receiving care from Mom's Home Care. Simply call us at 323-244-4789 to learn more about who we are and what we do, and to set up a free, no obligation in-home consultation with one of our experienced staff members. We also have people standing by 24/7 for emergency care requests. We understand you can't schedule emergencies, and so we get you a care giver off our vast database quickly even when you weren't able to pre-schedule it as under normal circumstances. We can set up a plan of care for you or your loved one and implement it without delay. And you can call to adjust your plan of care as needed going forward. We don't keep you in the dark about what's going on with the care your loved one is receiving. Moms Home Care is proud to offer an optional feature called the Family Room. The Family Room provides family members & associated care professionals with information on upcoming schedules, the caregiver team, medications, and even details down to the tasks that were completed during each shift. Please see the video below for details. When senior citizens live alone for extended periods of time, it's not just the mere fact of aging and hereditary predisposition, but evidence suggests that lack of social interaction can also contribute to the (sooner) onset of dementia or Alzheimer's. One very basic function of our caretakers at Mom's Home Care is simply to provide companionship and day to day social interaction. Just spending time conversing, playing a board game, watching TV or a movie together, eating together, or going shopping or to other destinations together can provide that needful social support and help keep the mind active and engaged. There are often day to day, or weekly/monthly, errands that need to be run that your elderly loved one may not be able to do him or herself anymore. He/she may not be able to safely drive an automobile or even walk downtown. But one of our staff can take care of the grocery shopping and shopping for other needful or desired things. And we can run to the post office, pick-up food restaurant, or other location on errands for your loved one as well. As we age, simple tasks like bathing, dressing, and grooming may become burdensome or even impossible to perform ourselves. But maintaining good hygiene, brushing and flossing, getting dressed in the morning, taking a daily bath/shower, and the like are all necessary tasks that can't be avoided. That's why Mom's Home Care includes intense training for its staff on how to handle all personal care for our clients in a respectful and yet reliable way. These are some of the most common daily tasks we routinely assist our clients with. Nobody likes to talk about it, but the fact is, using the toilet can become a challenge for many of us as we get older. At Mom's Home Care we understand the embarrassment and frustration this situation can bring. We take a "matter of fact" approach to it and simply do what needs to be done. We can help ensure the toileting environment is safe and usable for your elderly loved one. Possibly grip rails need to be installed, the TP roll repositioned, or the toilet height adjusted. We can also help you decide which toileting options are best and deal with all types of incontinence. Cleaning the kitchen, bathroom, and bedroom; sweeping, mopping, vacuuming, and dusting; and washing, folding, and putting away laundry can all be difficult tasks to the elderly. Taking out the trash and walking the dog or feeding the cat can be too. But we at Mom's Home Care can take care of all such household cleaning tasks for your loved one to keep the home clean, healthy, and livable. One of the greatest concerns of our clients is that meal preparation has become too difficult. And for the sake of nourishment and good nutrition that are crucial to your loved one's continued good overall health, proper meals are a must. 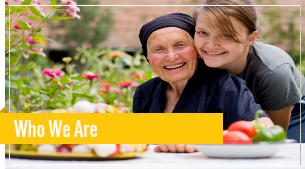 At Mom's Home Care, we can assign a good cook as your loved one's caretaker! And we're sure there are few things he/she will appreciate more than that! We can manage his/her menu plan and monitor his/her diet, weight, and health. Although Mom's Home Care provides only non-medical care, we do also handle medication reminders and management for our clients. We can maintain your loved one's pill box, document the dispensing of the medications, and if necessary note any side effects that might occur. We do not, however, give injections, change IVs, or administer invasive medications or treatments. For any of our services, it's possible for you to order live-in care or on-call care. And you can use our services on a temporary basis as needed or more long term. It's up to you. We at Mom's Home Care stand ready to assist you and your loved one in numerous areas of daily living and non-medical home health care services. We are flexible to your needs and will work with you to find what works best for you and your elderly loved one. Whether you need live-in and/or on-call care for your elderly loved one, we at Mom's Home Care can provide it. We offer a wide range of services, taking care of all manner of tasks that elderly people often find difficult to take care of for themselves. 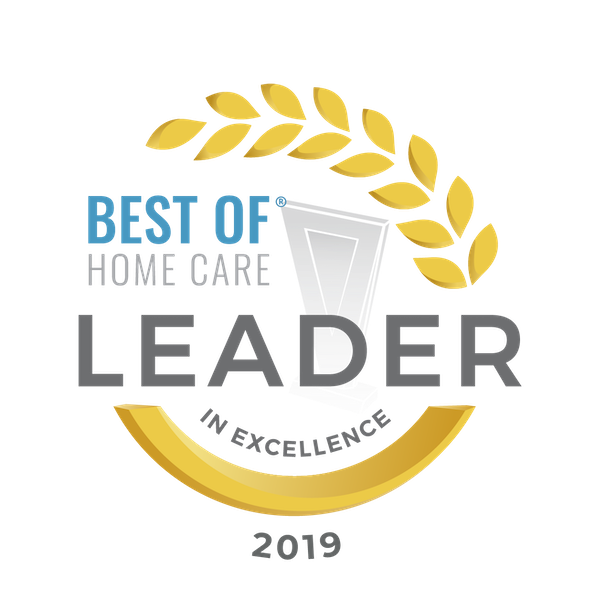 Mom's Home Care has been serving the L.A. Area with top-quality home care. We have built up a solid reputation for compassionate, skilled care over the years, and we have developed deep relationships with local communities and families. We stand ready to answer all of your questions regarding home care in general and our services in particular. Contact us today by calling 323-244-4789 to learn more! 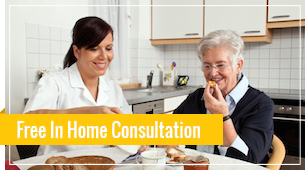 We offer free in-home consultations to help you understand better who we are, what we do, and how we can help your loved one. We equip you to make an informed, no-pressure decision that is best for you and your elderly Mom, Dad, or other loved one.